Born in Denmark in 1985, Eastgate was introduced to poker at an early age. Born in Denmark in 1985, Eastgate was introduced to poker at an early age. He enrolled in Aarhus University as an economics major but he didn't finish his studies as he left to play poker full time.In 2008, Peter Eastgate played at the World Series of Poker (WSOP) in Las Vegas where he made his biggest win in his entire career. Peter made history since the “poker boom” to win the second biggest prize money in poker since Jamie Gold. His first place winning in WSOP that year was a whopping $9,152,416. Peter became the 9th person on record to win big prize money in a single win, and he became the first in Denmark’s all time money list beating his fellow Denmark poker big player, Gus Hansen. Peter also broke Phil “The Poker Brat” Hellmuth’s record of being the youngest WSOP big time winner at the age of 24. Peter was only 22 years old at that time. As of 2014 his total tournament earnings reach $11,131,450, placing him 17th in the all-time money list. Poker Hands - Tom Dwan's Mind Is BLOWN! Part 6 Phil Galfond review series against Peter Eastgate playing 4 tables Heads Up on Pokerstars at $20kNL. Part 5 of Phil Galfond review series against Peter Eastgate playing 4 tables Heads Up on Pokerstars at $20kNL. Denmark’s Gus Hansen is Going to Have a Great Summer – Are You? 44-year old Gustav Hansen has almost singlehandedly put Denmark on the poker map. 2008 WSOP Main Event Chip Bags For Sale On eBay For $10,000!?! eBay has become loaded with tons of items available for those who are in to collecting poker memorabilia. 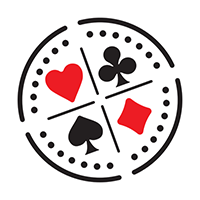 In recent times, many quality poker players have emerged from Scandinavian countries, to make their stamp on the world poker scene. Winning the World Series of Poker Main Event, with the millions of dollars, the fame, and the lucrative future it promises, would seem to many of us a poker professional’s dream. For some, however, it has been the start of a nightmare.